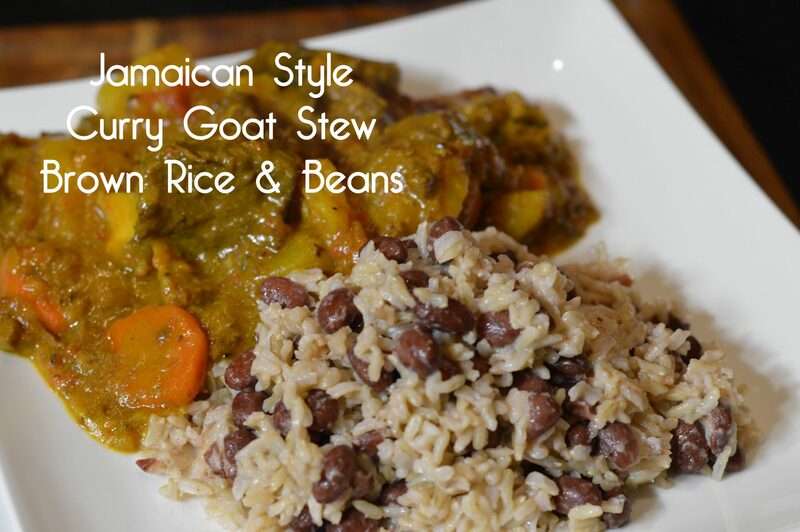 I love all things curry and Jamaican Curry Goat is one of my favorite – pair it with brown rice and beans and I drift to flavor heaven! 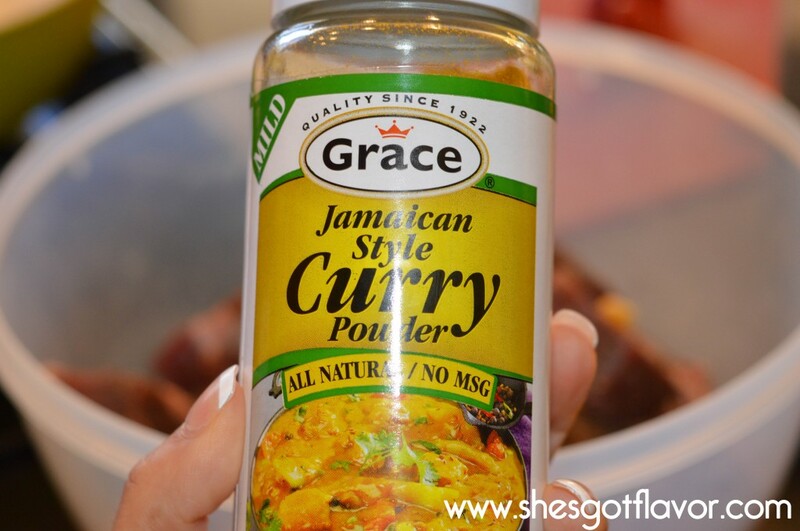 There are many types of Curry Powder but I chose Jamaican because I love the flavor, while similar to most other curry powders it has it’s own unique taste. I love that this recipe is so rich and hearty. It is delicious the first, second and third day. 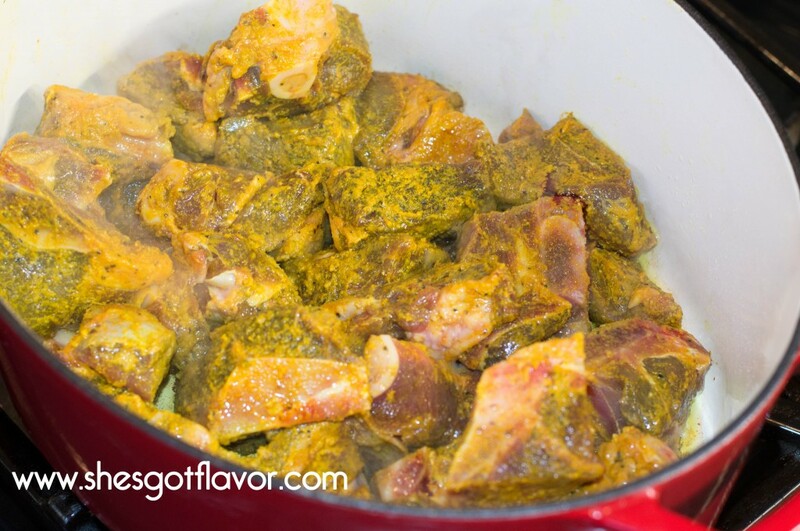 You can also freeze the goat stew for another day and just make some fresh rice and beans. I served this with a salad but another good side option would be cabbage ~ YUM! 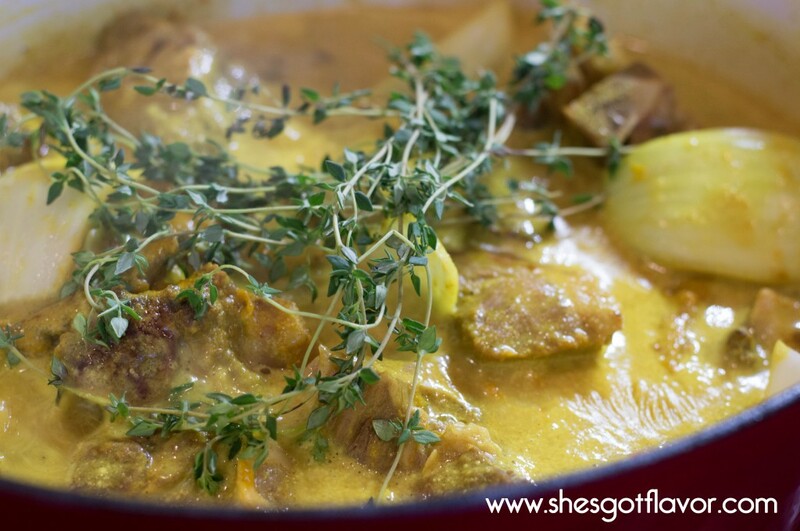 My family and I loved this dish, I hope you do too! This makes me want to lick the screen! Soo good!! 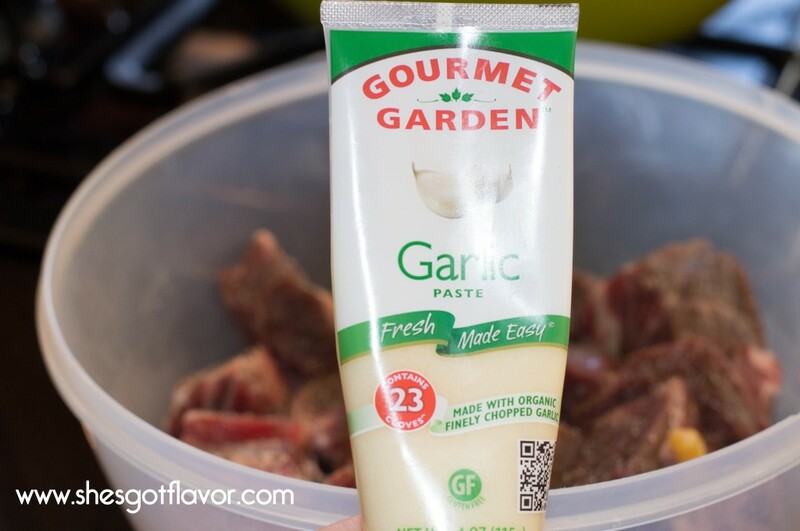 Found this crushed garlic a few years back and haven’t smashed a garlic clove since! Found this crushed ginger a few years back! 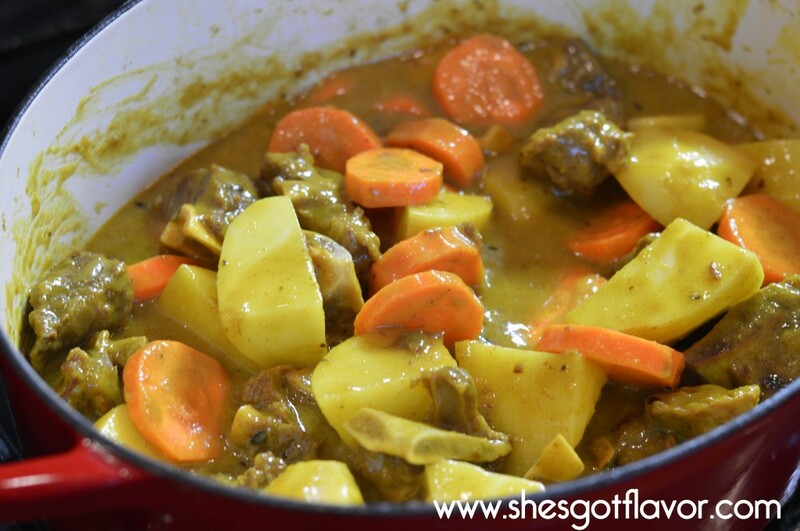 So this is “Jamaican” style curry but you can use any kind of curry you like. 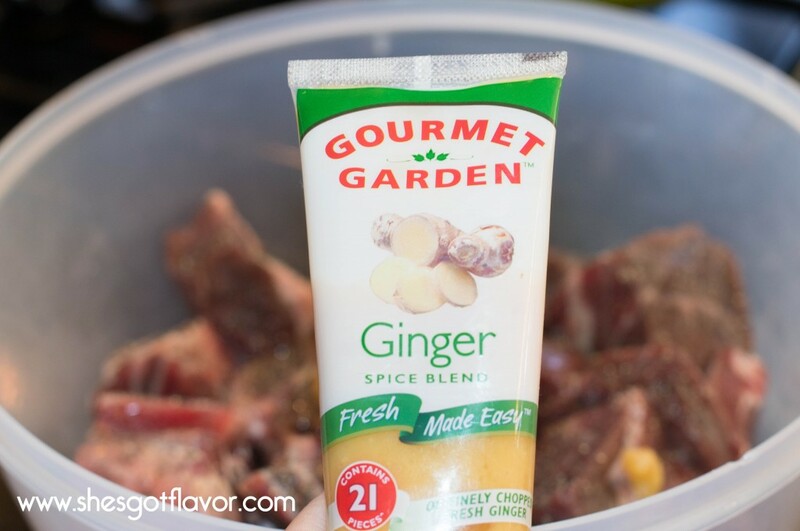 Marinating your meat will bring forward the best flavors ever! 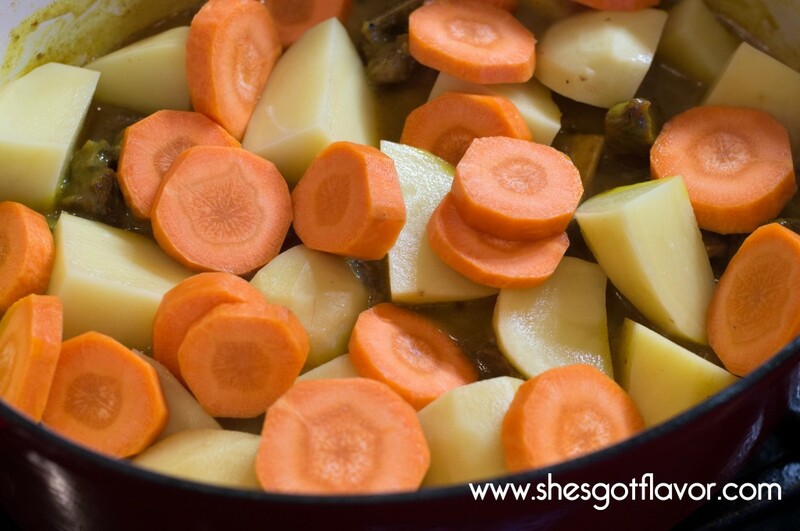 So much goodness in one pot! Enjoy, Enjoy and one more Enjoy!! 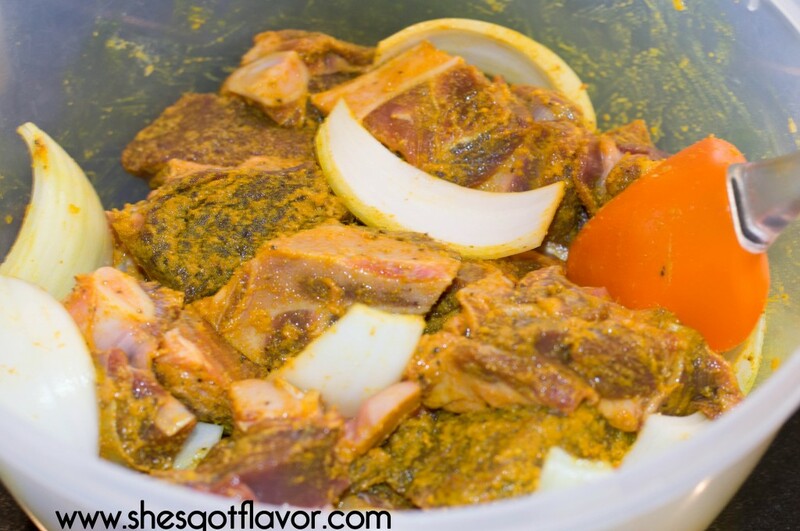 Curry goat and curry chicken are my favorite, but I can’t make them. Thank you for this recipe, I will give it try. When do you add the tomotos?